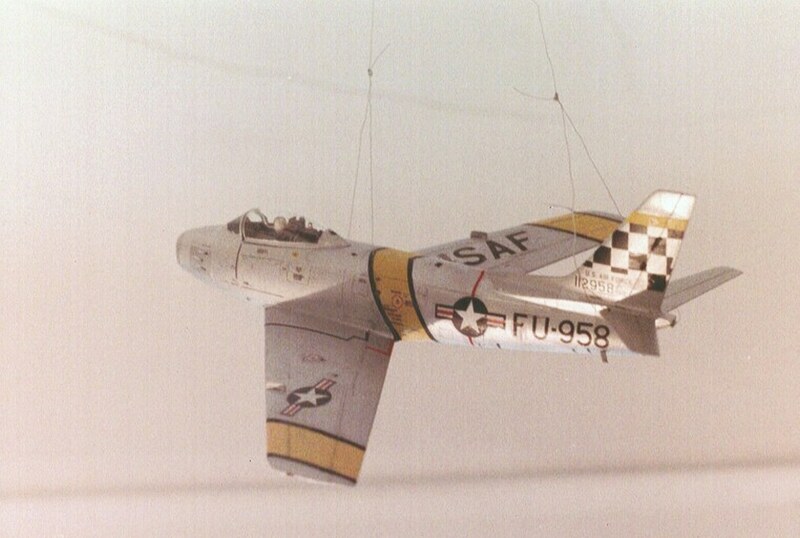 I do not think that the Northrop F-89 Scorpion was used in Korea, but it is of the same era. 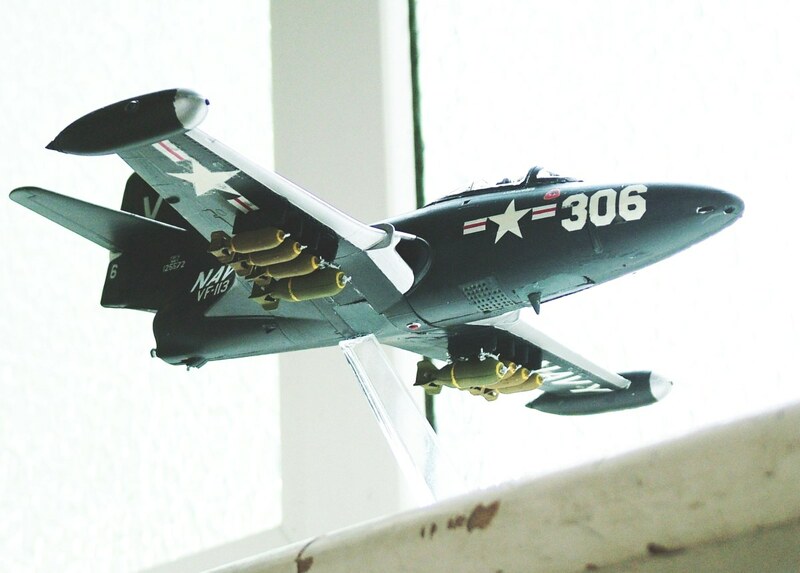 It was a large aircraft and this 1/72 scale model is commensurately large. 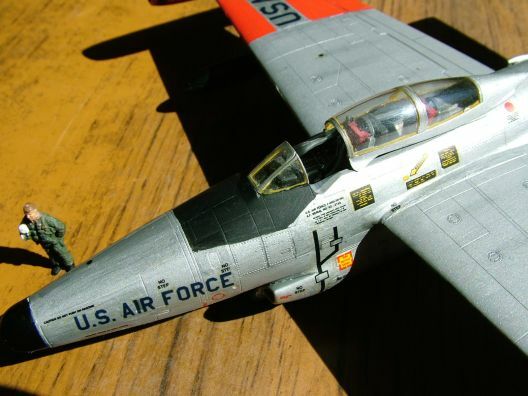 Alternative decals supplied with this 1/48 scale kit are for Lt. Brubaker’s aircraft in the movie The Bridges at Toko Ri. I also recommend the book by James Michener. 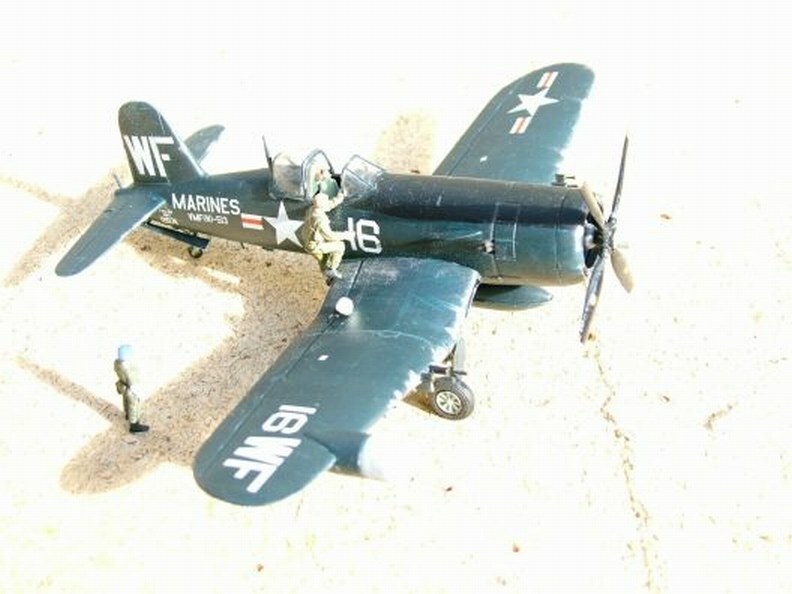 I also have a 1/72 scale model, which is just as good. 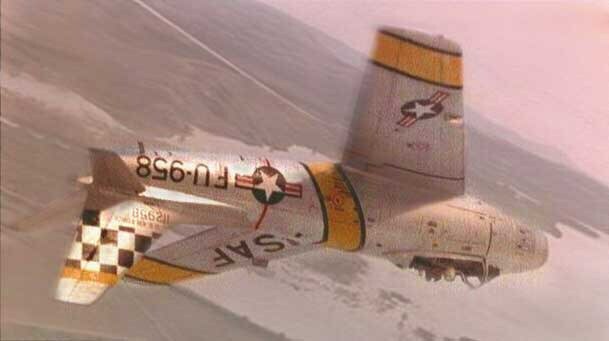 One of my online friends, an ex US Navy pilot, created this image by combining two of my photos. The light impinging from below is significant in the combined image. 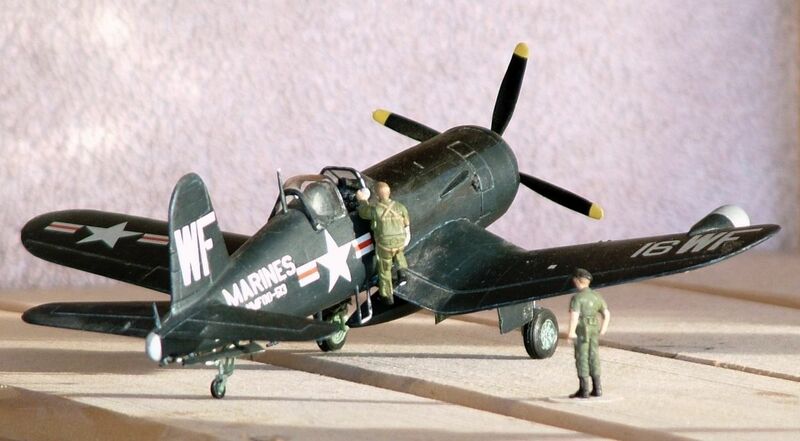 This 1/72nd scale F4U Corsair night fighter (note the radar on the starboard wing) is also of the Korean war. 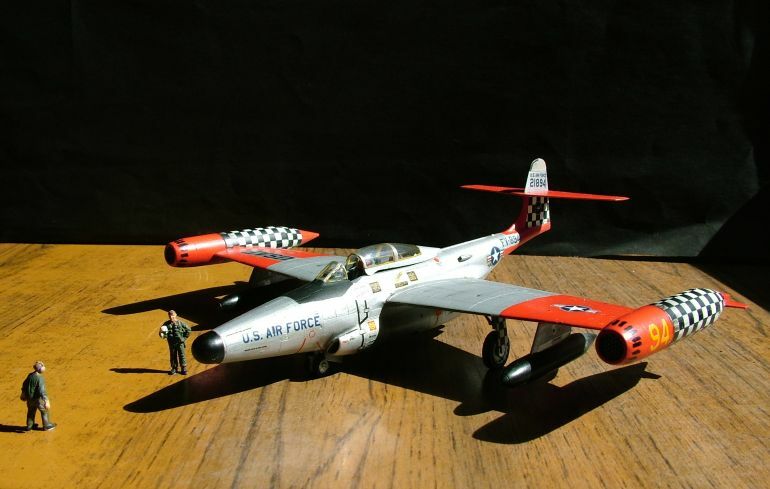 It has a seven inch span and it is less than six inches long.